One of my newer items is what I call the Fixed Blade IWB Panel. This design came about at Publix. Right after I got my ESEE 4, I was carrying it one day on my belt with the supplied MOLLE locks. Walking into the store, I suddenly became very aware of my knife. And I felt like anyone else could be as well. So I walked back out to my car and my knife went in the glove box. From there I decided that I need to carry this every day, but in such a way that it was concealed. The IWB Panel is a simple design. 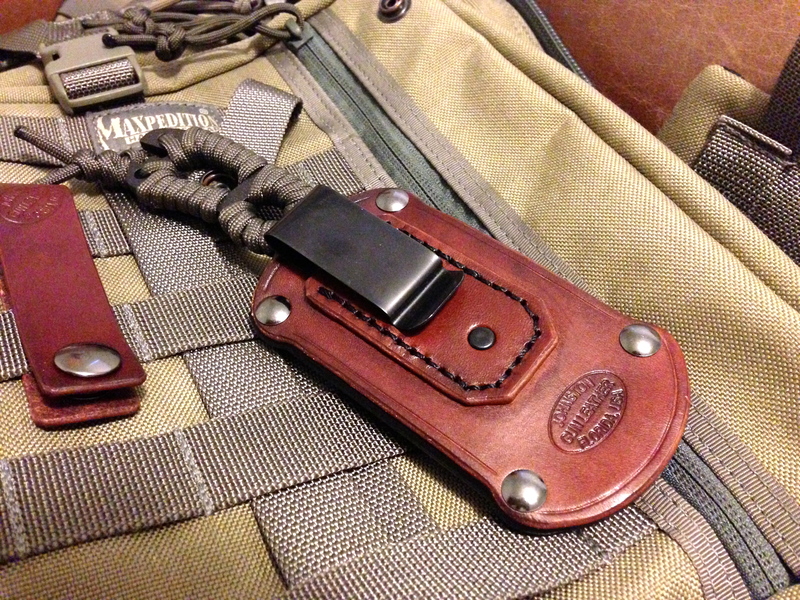 The leather is cut to match the knife’s standard kydex or nylon locking sheath. For the ESEE 4, I used the screws that came with the knife outfit. For the Becker BK11, I added some Chicago screws, like what are in my Combo Pocket Holsters, so the panel is simple and easy to put on and take off, depending on your desired method of carry any given day. I like to carry IWB items at about 4 o’clock. 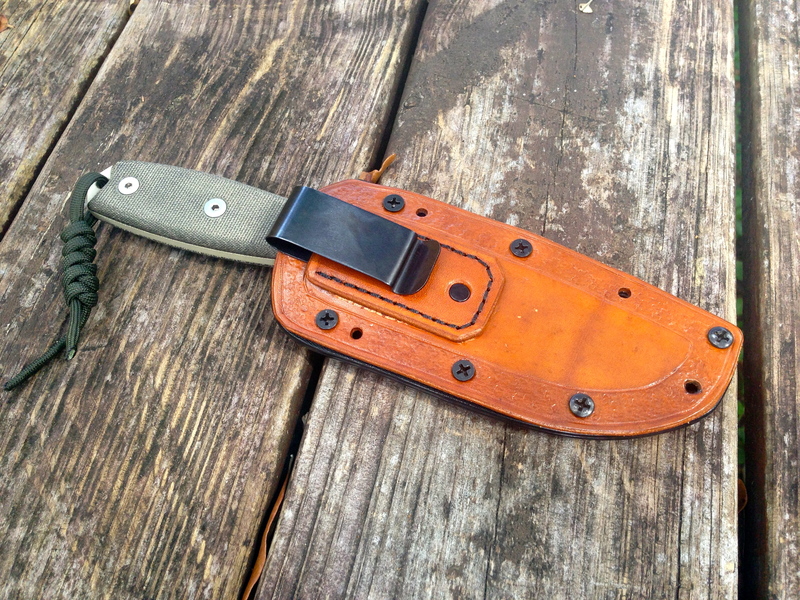 When I do, even with the big ESEE 4, sitting in a desk chair, in the car – or anywhere – is simple, comfortable and I hardly even notice the knife being there. Now, either of these knives are super easy to carry, and always concealed. The IWB panel is made of top quality cowhide and is available in light brown, mahogany or black, and sells for $25 plus $5 to ship. If you have an ESEE 4 or a BK11, or any other fixed blade that you’d be interested in adding a custom IWB Panel to it, give me a shout and let’s create something! As always, you can contact me at chad@johnstongunleather.com.